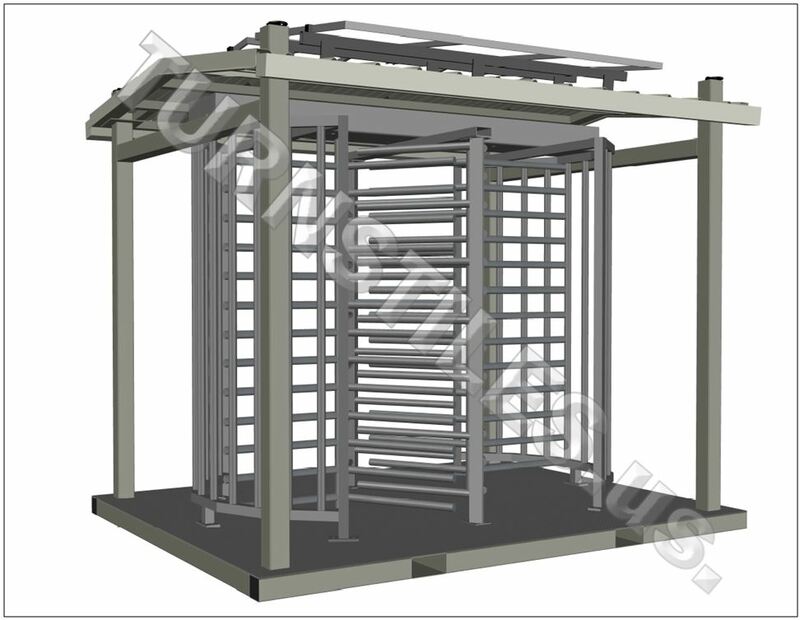 (1) Portable Full Height Tandem Turnstile: 3-Arms. 2-Way Electric. Passage Width 30". Galvanized. Includes Card Reader Plates and Key override.